The Healthcare Special Interest Group of IIT Bombay Alumni Association (IITBAA) and Hyderabad Chapter of IITBAA (in association with ARCI) is organizing Health Innovation Summit on 17/11/2018 at HICC Novotel Hyderabad. The Vigilance Awareness Week was being observed from 29th October 2018 to 3rd November 2018 at ARCI. 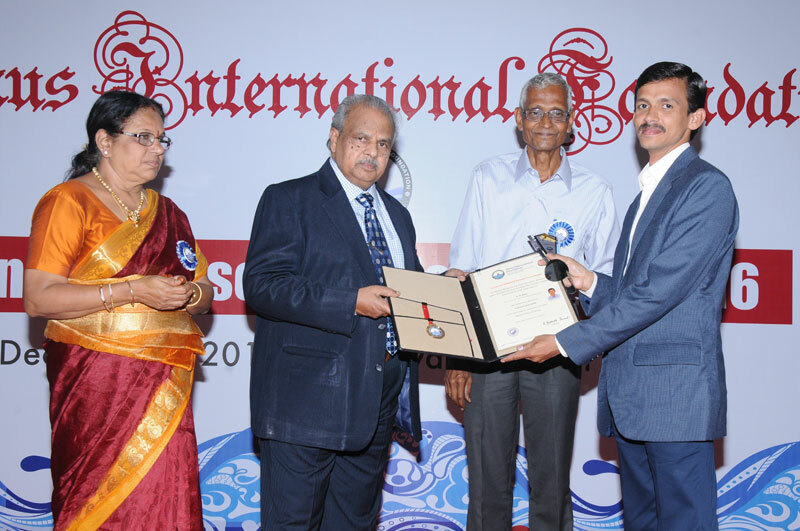 Dr. R Gopalan, Associate Director-ARCI received the ISAS National Award for Excellence in Science and Technology 2017 presented by Indian Society of Analytical Scientists on February 08, 2018 during the Indian Analytical Science Congress 2018 organized by Indian Society of Analytical Scientists at Kumarakom, Kerala for his outstanding contributions in the field of Materials Science & Engineering. Dr. R Gopalan, Associate Director, ARCI has been conferred with 'The Best Citizens of India Award 2017' by International Publishing House. Dr. Sanjay Bhardwaj received the 'Bharat Vikas Award' for 'Loyalty, Diligence & Outstanding Performance in the Field of Science & Technology based Entrepreneurship' on November 19, 2017 at Bhubaneswar. 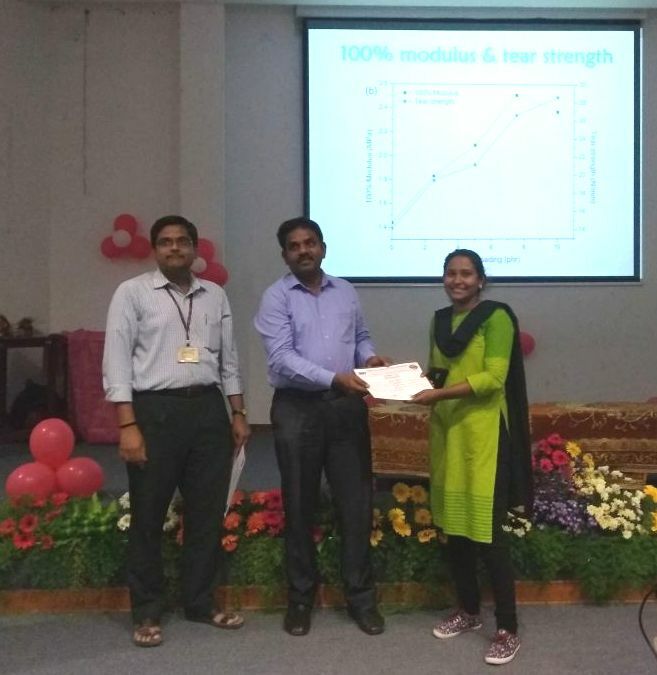 Shri Sumit Ranjan Sahu, Centre for Automotive Energy Materials has received "Best Session Paper" in In-house symposium held at IIT Madras during 29-30 July 2017 on the topic "Synthesis of Graphene Sheets from Single-walled Carbon Nanohorns"
International Women's Day was celebrated on March 8, 2017 at ARCI. 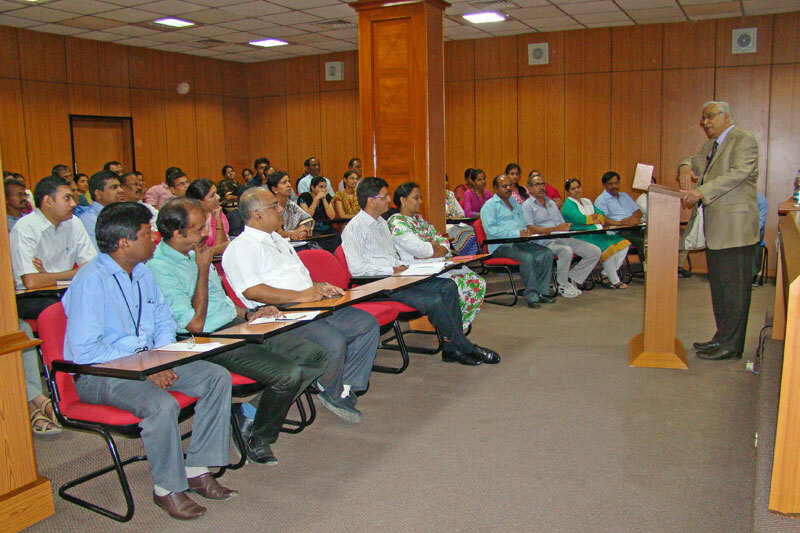 Dr. Gyanmudra, Professor and Head for Human Resource Development, National Institute of Rural Development & Panchayati Raj, Hyderabad delivered a talk on "Emotional Intelligence at Work Place" on this occasion. 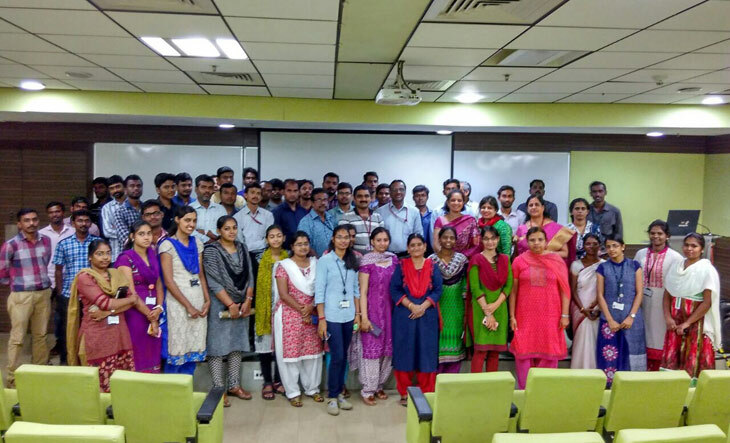 An interactive Session with women staff members, research fellows, trainees and project students was also held on the same day. This year Ms. Sujatha Chakravarthy, Managing Director for Dhvani Research was invited at Chief Guest on March 8th 2017. 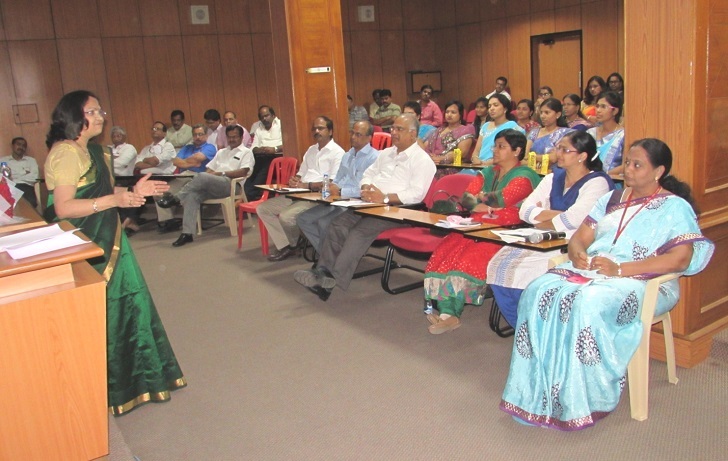 She spoke about "Women Entrepreneur" and shared her experiences with all the ARCI staff during the execution of the projects with ISRO, Defence,GE,Tata etc. 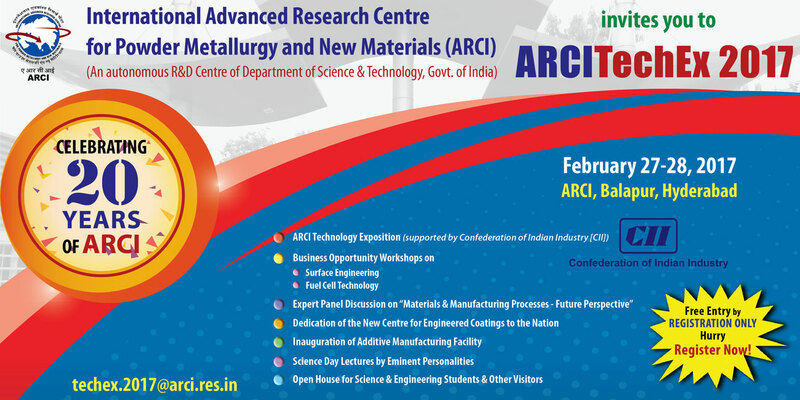 ARCI celebrated 20 successful years of research, development and technology transfer in the field of materials and processes through ARCITechEx2017â€ during February 27-28, 2017 at ARCI Campus, Balapur, Hyderabad. Swapnil H. Adsul Senior Research (Dr. R. Subasri) was awarded the "Best Paper of the Session" for the poster presentation titled "Corrosion Behavior Study of Nanoclay-based Sol-gel Coatings on Mg Alloy AZ91D" in the International Conference on Emerging Trends in Materials and Manufacturing Engineering (IMME 17) at NIT Trichy held during March 10-12, 2017. 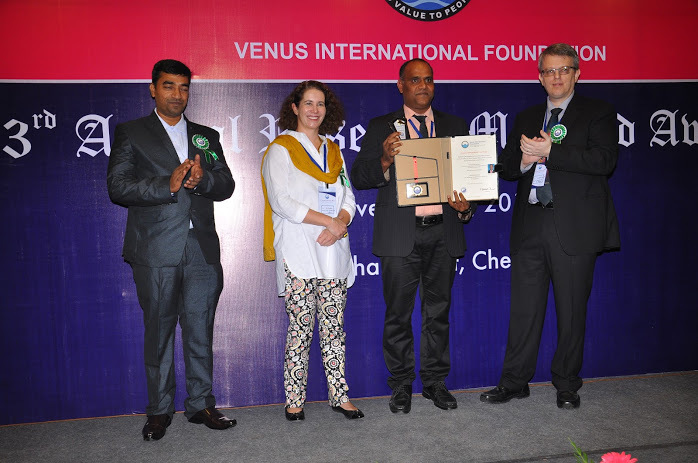 Dr. SM Shariff, Scientist-E, Centre for Laser Processing of Materials, received 'Distinguished Scientist' award for the contribution and achievement in the field of Laser Based Manufacturing from Venus International Foundation, Chennai on 03/12/2016. Dr R Gopalan, Associate Director has become International Advisory Committee Member for rare earth permanent magnets in recently (28 August-1 September) concluded conference at Darmstadt, Germany. Conference on "Future of Indian Automotive Industry: Lasers and its Applications"
ARCI received National Award 2016(TDB) for successful commercialization of indigenous technology, along with M/s. Resil Chemicals Private Limited, Bangalore. Dr. Tata Narasinga Rao, Associate Director, ARCI received the trophy from Shri Pranab Mukherjee, Hon'ble President of India on the Technology Day on May 11, 2016 at Vigyan Bhavan, New Delhi. 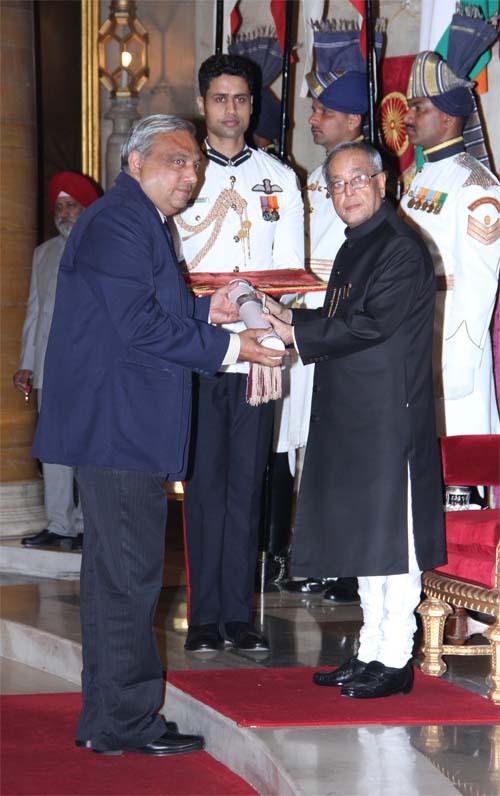 Dr. Tata Narasinga Rao receiving the trophy from Shri Pranab Mukherjee, Hon'ble President of India. Dr. Harsh Vardhan, Union Minister of Science & Technology & Earth Sciences, Prof. Ashutosh Sharma, Secretary, Department of Science and Technology and Prof. K Vijay Raghavan, Secretary, Department of Biotechnology and Earth Sciences are also seen in the Photo. ARCI received National Award 2016 for successful commercialization of indigenous technology, along with M/s. Resil Chemicals Private Limited, Bangalore, N9 Pure Silver: a silver based antimicrobial that not only keeps the treated surface hygienic, but also offers a safe and natural way to keep textiles odour-free and fresh. 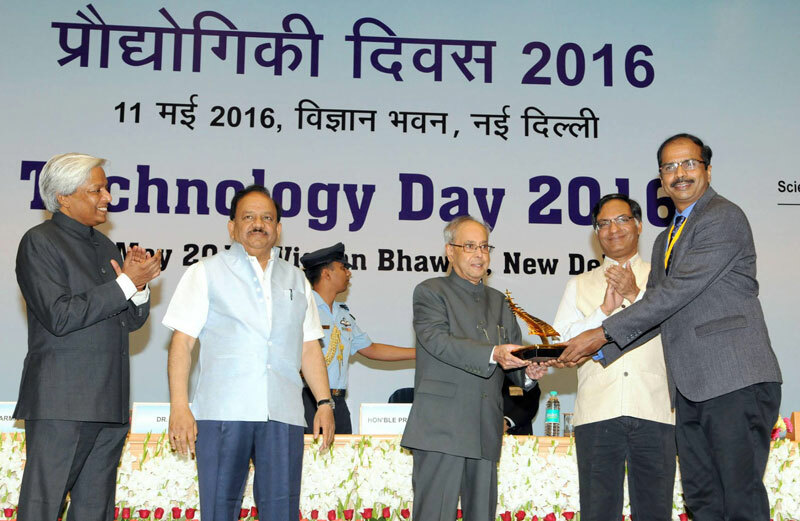 Dr. Tata Narasinga Rao, Associate Director, ARCI received the trophy from Shri Pranab Mukherjee, Hon'ble President of India on the Technology Day on May 11, 2016 at Vigyan Bhavan, New Delhi. Ms. S. Pradheebha (Dr R. Subasri), M.Tech project student of PSG College of Technology and working at Center for Sol-Gel coatings, has received the best paper award for the presentation titled "Effect of Texturing on Surface Wettability of Sol-Gel Nanocomposite Coatings" in the National Conference on Advances in Micro and Nano Electronics (NCAMNE' 16), held at PSG College of Technology, Coimbatore, on 23rd April 2016. 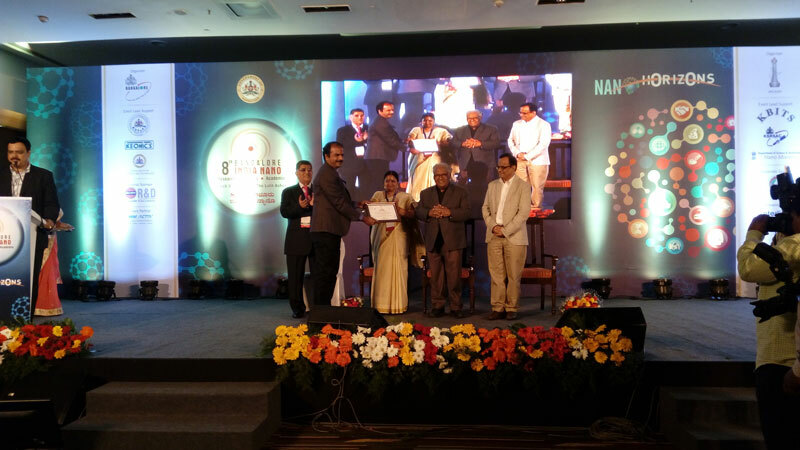 Ms.Yamini Ananthan received "Best Poster" Award in the 8th Bangalore India Nano Conference held on 3 - 4 March 2016. ARCI's TiO2 Photocatalyst Technology is Commercilized by Resil in the form of "Sun Clean" garments launched in the market by Splash & Flying Machine. 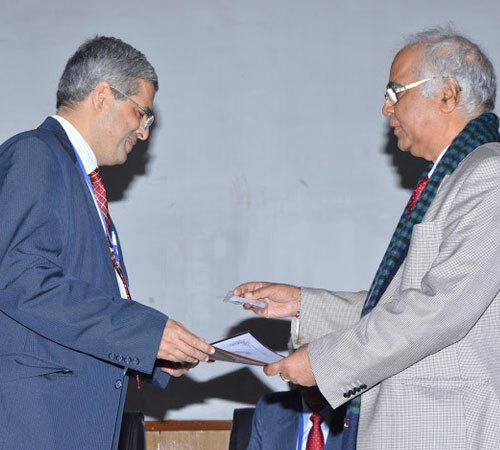 Mr. K. Nanaji (Dr. Srinivasan Anandan) received the 'Best Oral Presentation Award' for the paper on "Ordered Mesoporous Carbon as an Efficient Anode Material for Lithium Ion Battery Application" at the 'National Conference on Carbon Materials 2015 (NCCM 2015)' held at New Delhi during November 26-28, 2015. 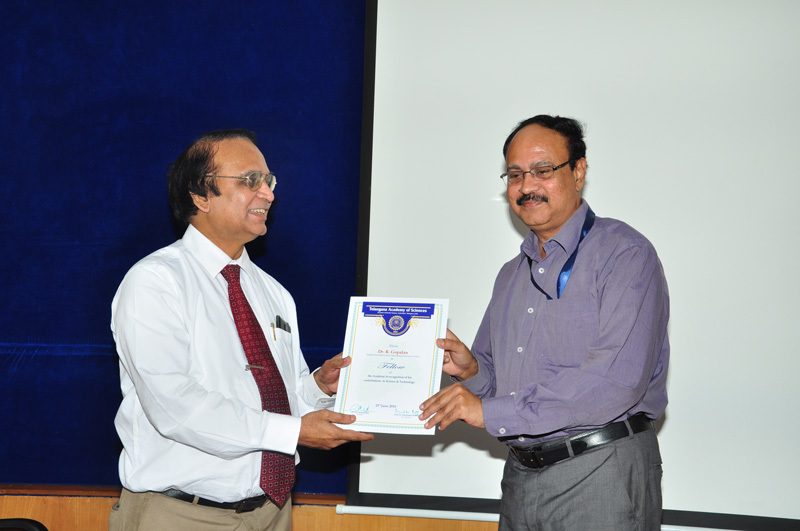 Dr.T N Rao Elected as Academician of Asia Pacific Academy of Materials (APAM)-2015. Dr R. Subasri received the Materials Research Society of India (MRSI) medal for 2015, in recognition of her significant contributions to the field of Materials Research and Engineering. 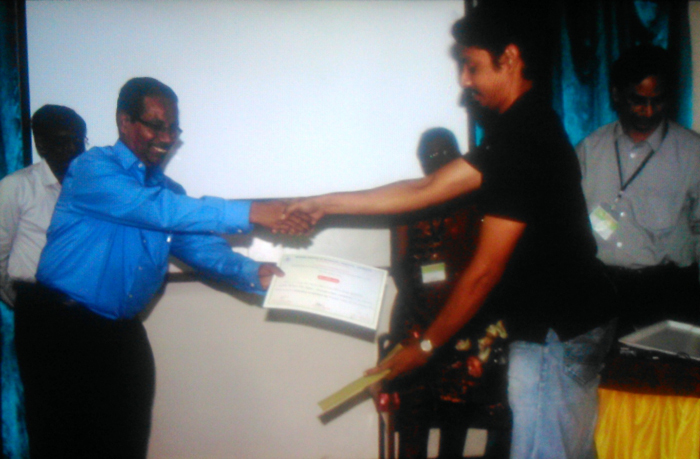 Recieved best oral presentation award in ICEE-2014, Dec 15-17 held at Hyderabad. 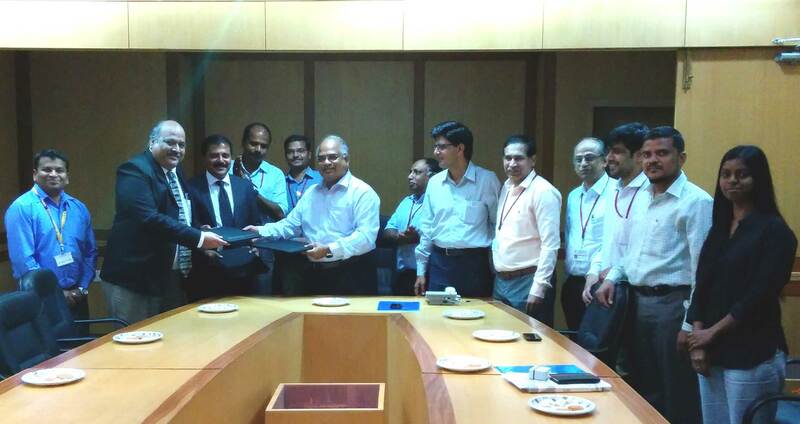 ARCI has signed an Agreement with CSIR-Tech Pvt. 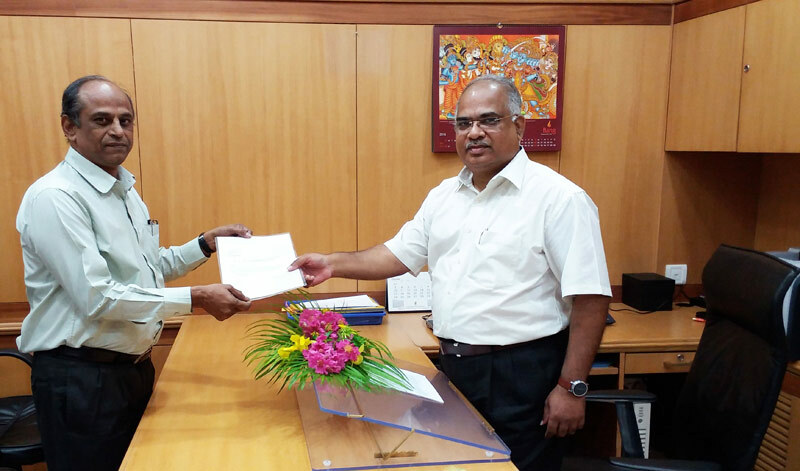 Ltd.
ARCI has signed an Agreement with CSIR-Tech Pvt. 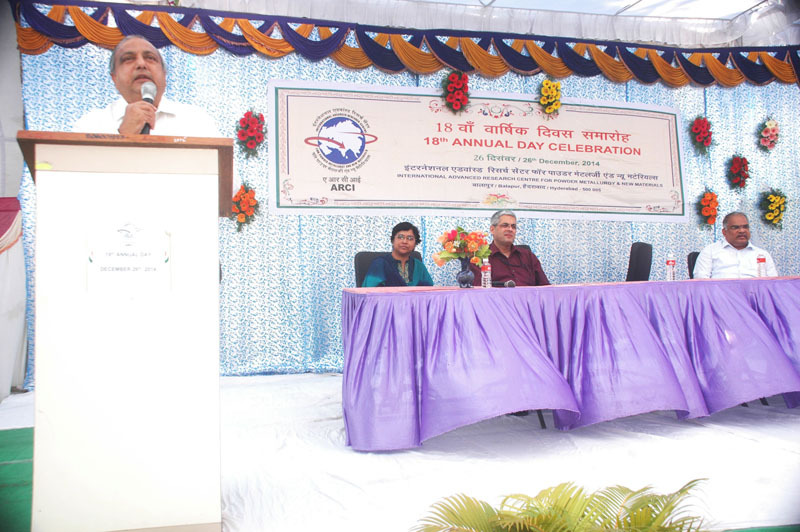 Ltd., Pune to enhance outreach of its technologies, knowledge-base and services. 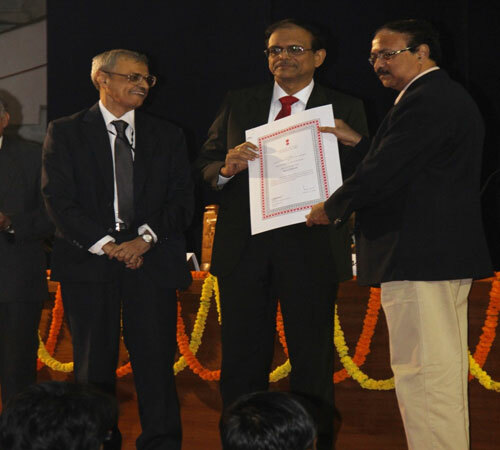 Dr. SV Joshi had recently been selected to receive the 'MRSI-ICSC Superconductivity & Materials Science Annual Prize' for the year 2014. 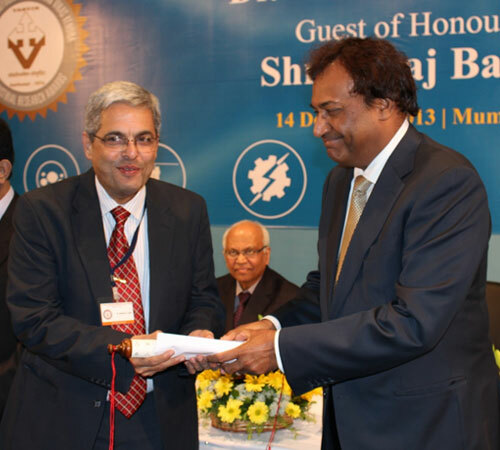 RESIL CHEMICALS PRIVATE LIMITED, Bangalore who received the nanosilver technology form ARCI, Hyderabad won the"Bangalore INDIA NANO Innovation Award-2013" for the commercialization of silver-textile technology.